The past few months have been an amazing ride. Ever since Facebook highjacked the term “open” to refer to their proprietary “OS for the social web” (complete with embracing and extending HTML to become “FBML”), there’s been a slowly building momentum of resistance. The chorus of voices in support of an open social web has been growing. And it all seemed to come together in recent weeks, reaching a crescendo at the Web 2.0 Summit, where Google declared that the platform is the web, and Facebook admitted that their walled garden approach was flawed and needed to be corrected. I’m also looking forward to a bunch of things coming that will turn the rhetoric into reality. Stay tuned. 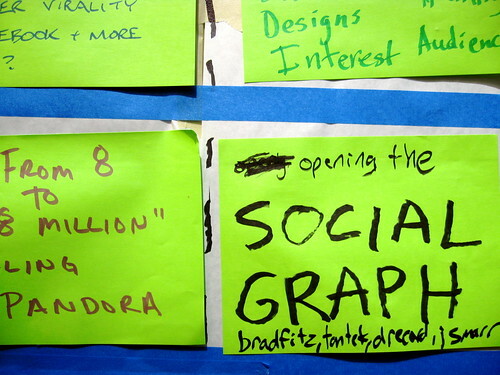 2007 will go out in style, and mark a real turning point in the effort to keep the social web as open as the web itself.